After dropping hints on several occasion, Arjun Kapoor, Malaika Arora have started making public appearances together. From get-togethers to family parties, Arjun and Malaika take out time amidst their hectic schedule to spend time with each other. Last year, Arjun rang in Malaika’s birthday with her in Milan, Italy. A picture of the couple walking hand in hand at Milan airport went viral on the internet. Now, it seems the couple is on their way of making it official. The duo shared their vacation pictures on Instagram with an almost similar caption. While Malaika wrote, ‘Take me back’, Arjun replied with a hashtag, ‘#LetsGoBack’. Malaika shared her beautiful picture alongside a caption that reads, ”Take me back …..happiness #throwbackthursday”. Arjun dropped a comment saying, ”hmm”. As India cricketer Virat Kohli is busy in his matches in Australia, his wife and Bollywood actress Anushka Sharma always manages to be by his side. The actress was earlier also seen at many occasions supporting and cheering for husband Virat during his cricket matches. Anushka’s pics cheering Virat and the Indian cricket team at previous matches went viral and fans shared it immensely on the social media platforms as well. Anushka is a proud wife and expressed it recently during Virat’s century at the ongoing ODI. Virat even got the man of the match trophy during a match against Australia and Anushka was there by his side. Nawazuddin Siddiqui-starrer “Photograph” will be screened at the 69th Berlin International Film Festival next month. Director Ritesh Batra took to Twitter to share the news. “Hello all, ‘Photograph’ will be screened at the #Berlinale2019,” Batra posted on Thursday. According to the official site of the festival, “Photograph” will be part of the Berlinale Special Gala at the Friedrichstadt-Palast where it will have its European premiere. It also features in Berlinale Special films category. The fest will start from February 7 and will run till February 17. Bollywood’s reigning queen Kangana Ranaut is gearing up for her historical saga film titled Manikarnika – Queen of Jhansi. The actress has already started the promotions of her film along with the other star cast including Ankita Lokhande, who is making her debut in Bollywood with this film. The actresses Kangana and Ankita were seen raising the fashion bar recently during the music launch of Manikarnika. Interestingly, with Manikarnika, Kangana has also stepped into the direction world as she has directed few portions of the film. Vicky Kaushal is nation’s hot favourite now. The Bollywood actor, who grabbed eyeballs with his debut film Masaan did several critically-acclaimed films before he shot to fame with Rajkumar Hirani’s Sanju. Besides his work, the actor’s relationship has been making quite a buzz for now. Vicky is dating actress Harleen Sethi and has spoken indirectly about her in several chat shows and interviews. Their fans will be delighted to know that the duo has made their relationship ‘sort of’ official on Instagram. Harleen shared a photo on the social-networking site in which the couple can be seen celebrating the success of Vicky’s recently-released movie, Uri. In the photo, both are wearing black sweatshirts that has ‘Hows The Josh’ (a viral dialogue from Uri) imprinted on them. ”High, sir,” answered Harleen in the caption for the post. The picture seems to be from Uri’s success bash, which was attended by Vicky’s parents as well. After grand birthday bash of actor Sidharth Malhotra, another Bollywood bigwig Ramesh Taurani had a pre-birthday bash yesterday. Filmmaker and producer Taurani turned a year older today and he hosted a grand party for his close friends and friends from the industry. 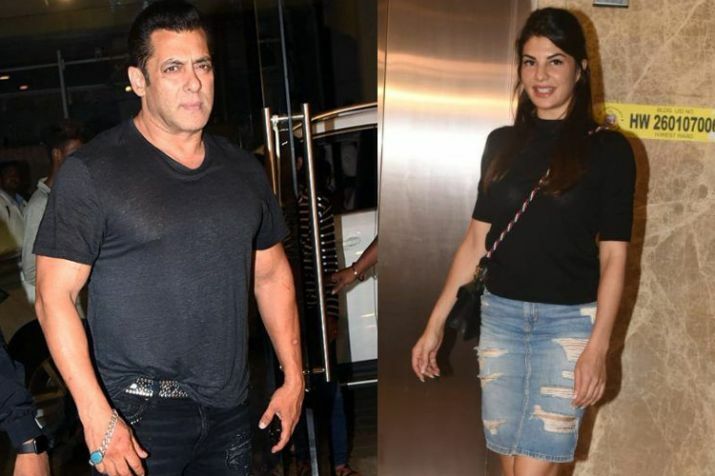 Bollywood A-listers including Salman Khan, Jacqueline Fernandez, actor Sonu Sood, Bobby Deol and others attended the gala night at Taurani’s residence. Apart from Race 3 stars, Salman’s brother-in-law Aayush Sharma, Saqib Saleem, Satish Kaushik, Daisy Shah, Girish Kumar, Rupa Ganguly, Archana Puran Singh, Parmeet Sethi and many other celebrities attended the birthday bash. Bollywood’s playback singer Alka Yagnik also graced the occasion. Previous story Buzz is: Malaika Arora and Arjun Kapoor house-hunting already?